Alvin Lee Martin was born December 1, 1921, the 3rd of 7 children of Ethel Elizabeth Brown and Roy Elzie Martin. He passed away June 15, 2016 in Elk City Nursing Home. Lee was born in the Canadian Community of Roger Mills County, about 14 miles northwest of Leedey, OK. Lee’s siblings were Ralph Eugene, Ruth Irene, Roy Milton, Mary Geneva, Edward Neal and Vivian Marie. Hardships are no stranger to Lee. A sister Ruth, age seven, one year older than Lee, died of complications from diabetes. The following year, Lee’s mother passed away of childbirth at the age of 31. However, the child survived, leaving Roy with six children, ages 11 to 1 month to rear. Roy was disabled with arthritis and could not raise the children himself. So, Lee and his siblings were raised by different family members. Lee started first grade at Liberty Center and had to finish that school year at Trail School when he went to live with his Uncle Dallas & Aunt Lucy Brown. He attended Trail in the 2nd grade until Thanksgiving, at which time Lee, with his new family, moved to Clovis, NM and lived with the Brown grandparents. At that time three of the children were united and remained there for four years. In 1933, they moved back to the Canadian Community where Lee went to Canadian School starting his 5th grade through 7th grade. In 1938, Roy took his four boys and lived together on the Martin grandparents’ place. They attended school at Liberty Center; Lee was in the 8th & 9th grades. Lee continued his education at Leedey from 10th through 12th grades. Between his Junior and Senior year his father passed away. He graduated in 1942. Shortly after graduation, he was drafted in the US Army leaving on August 27, 1942. Lee was assigned to Allied Forces Communication Center in Algiers, North Africa. He operated a teletype machine which received and transmitted communications for an army unit. A cryptographic machine was used to encode and decode messages directly to and from Washington, DC. Other places he was assigned to were Caserta near Naples, Italy, Marseille, France, and Rheem, France. These were coded messages between the US Generals, the Pentagon and the President. Decorations and Citations Lee received were the Good Conduct Medal, WWII Victory Ribbon, EAME Theater Ribbon and Four Bronze Service Stars. Lee, like many other young men, served his country honorably for 38 months during WWII being discharged on November 20, 1945. He served an additional three years in the Army Reserves. 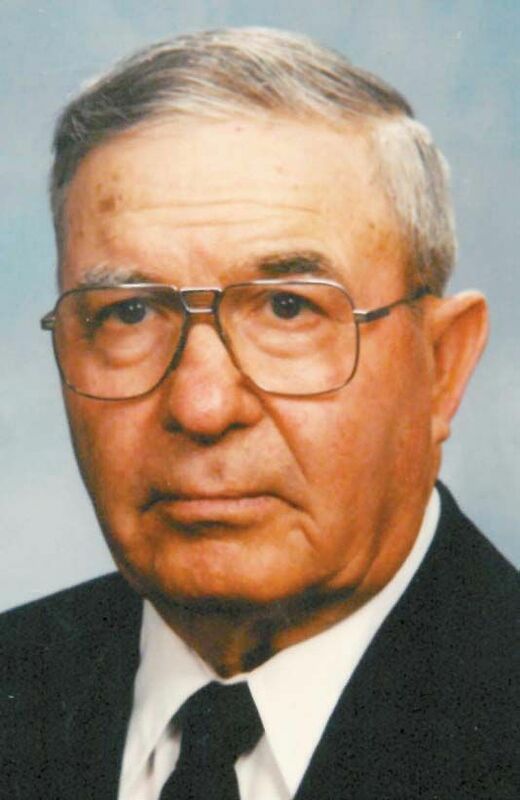 In the spring of 1946, Lee bought a farm in the Canadian Community and raised wheat, hay and cattle. During the years he accumulated additional land and added to his operation. Lee has experienced the droughts, winds, fires, poor cattle and wheat prices that all farmers have had to endure, gaining the satisfaction of being a self-made man. He has lived with the freedoms he so courageously fought for. He has experienced the independence only a farmer/rancher knows and received much satisfaction from that. On October 18, 1974, he married Orra Dixon Clem and they enjoyed playing cards, square dancing, and traveling with other campers to several states. They bought a home in Leedey in 1981 and have lived there since then, with Lee continuing to raise cattle. Lee accepted Christ as his Savior and was baptized May 9, 1999 at the Leedey First United Methodist Church. One of Lee’s recent highlights was going to Washington DC on the Honor Flight with other veterans to see the WWII Memorial, accompanied by his great-granddaughter, Alexa Clem. They also got to tour other National monuments, Arlington Cemetery, and the laying of the wreath on the Tomb of the Unknown Soldier, along with the changing of the guards. Lee was preceded in death by his wife Orra, of over 39 years, his parents, all of his siblings, his step-sons Sonnie, Floyd and wife Sue Clem and grandsons, Mark and Ricky Clem. He is survived by grandchildren Janise Bly, Jon Michael, Pam Clem, and Terry Clem; granddaughter- in-law Suzanne Clem; great grandchildren Andrea and Jose Blanco, Alexa Clem, Autumn and Steven Pamtlin, Evan Clem, Jimmy and Jessica Bly; five greatgreat grandchildren Robbie and Zac Bly, William Joseph, John Paul and Caroline Marie Blanco. He is also survived by brother-in-law Bill Moler; sister-in-law Betty Clem; special nephews David Clem and Ray Martin; other nieces, nephews and his many friends.